It's the old credit card bait 'n switch. The credit card banks bait you with attractive terms and generous rewards programs to get you to signup. Then, they wait. They wait for you to accumulate a large enough balance, then jack up your interest rate. I've been reading about this a lot on other websites recently; now it's happened to me, with my Chase business credit card. 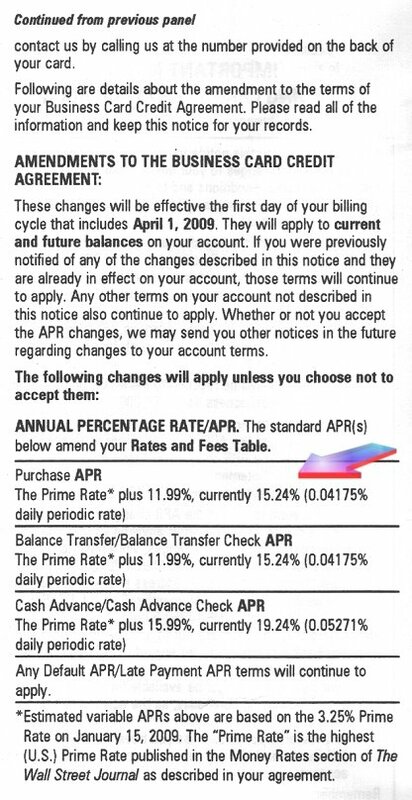 Just got a snail mail notice from Chase informing me that the company is going to raise the interest rate on my favorite business credit card, from a fixed rate of 9.9% to a variable rate of (Prime + 11.99%) = 15.24%. 15.24% is now the interest rate floor for this card, since Prime is not likely to go any lower. Of course, I have the option to opt out of the change. This would cause my account to be closed, and I would then continue to pay the balance down to zero at the original 9.9% APR. I don't have to borrow any money via Lending Club to payoff my Chase business card, but I really like the idea of Lending Club -- bypassing the banks and borrowing from regular folks across the country -- and I want to go through the process of borrowing through Lending Club myself so that I can report on my experience here in this blog. To be perfectly honest, I really like my Chase business card, but, clearly, it's time for us to part ways. With the U.S. Prime Rate at 3.25%, any rate above 10% is a subprime rate, in my opinion, and I'm not a subprime borrower. I took advantage of an excellent 0% intro APR offer with this card, and, when the 12-month, interest-free period ended, I used the cash back rewards program to lower my cost of borrowing to a nominal level. I really like the cash back rewards program with this card. I spend money on it and reward points accumulate. Then, when points reach a certain threshold, I simply login to my account and request a statement credit. With a few business days, the statement credit is posted to my account. Easy. No forms to fill out, No waiting until the end of the year to get my cash back reward and no waiting for a snail mail check. I will miss this rewards program. I have to hand it to Chase for being honest. In the change of terms notice they sent, they explained the change as a, "response to market conditions," and they also added that the company wants to "maintain profitability." I'm hating the change but I respect the honesty. Contrast this with the Barclay's notice I received when that credit card bank closed my BJ's Visa Card. The company wrote that it was to, "...help [me] better manage [my] credit accounts..." In other words, not only did they close my account without consulting me first, they also felt it necessary to insult my intelligence. the account was aged which, again, contributes to my business's credit rating. It was my first business credit card. As a final note: it's really no wonder that American Express is consistently rated as the best credit card bank. Right now the company is offering some high-risk cardholders a $300 payment (in the form of a prepaid gift card) in exchange for these accountholders paying their balance down to zero within a certain timeframe, and closing their account. Now that's my kinda' credit card bank! NB: In that same JD Power & Associates Credit Card Satisfaction Study(1), Discover Card placed second. 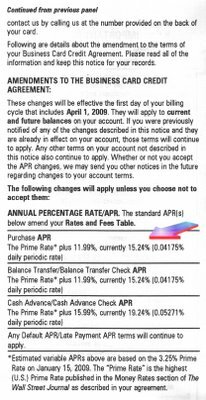 Chase, on the other hand, has identified certain credit card accounts that may be at risk for default, and has responded by imposing a $10 per month fee. Yikes! I'm not a public relations professional, but I do have some sage advice for JP Morgan Chase CEO Jamie Dimon: stop doing that! Man, I can't believe you closed your Citibusiness card! I would keep using it if I were you. As for your Advanta card, I can assure you that they will pull something funny about your rate someday, one way or another - even though it's not going to make you laugh. You see, I have had an Advanta credit card for a little over a year now. My interest rate was once 8%. My credit rating is very good and I have always made my payments on time, every time. As I was looking over my bill for September, I noticed a fee of $75 dollars. A few clicks later I found that my interest rate had been raised to *$@^@&~ 20%! Now that's the horror story you'd like to hear. What a great company, don't you think? What exactly is your credit score? Do you pay the minimum amount due each month, or more than the minimum? 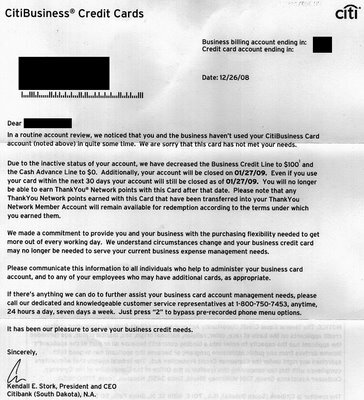 Sorry to here that you citibussiness card has been closed .. And advanta card is the one of worst card i never used and Bank of america cards have raised there interest rate..
Well, quite disappointing to hear this. Whenever my credit card interest goes up considerably, I like to give a call to the customer service department and find out the reason. If they're honest, I'll accept it, but if not, then I cancel the card as soon as possible. Bad thing that Chase increase the rates, but at least they were honest about it. In the end, it is up to the customer what to do, and you have the right to close the card if you feel the need to do so. 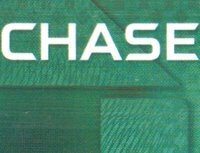 Chase has to pay for those acquisitions and WaMu takeover somehow. By closing its current account credit cards it forces "captive" customers to buy into the next scheme, at a slightly higher rate of course. Didn't there used to be a law against sundering a credit card or finance agreement on one side without the other's approval?